There are more and more places online where you can buy your fish. 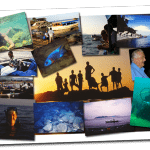 One of these online fish retailers is Aquatics To Your Door and I will share my experiences from buying the fish to them being delivered and the whole process in-between. So lets start with their website, it’s simple, attractive and does a great job directing you to where you want to go. The fish are clearly categorised and they all have a photo so you can see what each fish looks like; you even get a short bio about the fish and their care requirements. 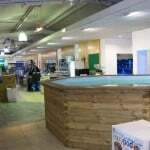 There are an amazing variety of fish available mainly because they actually have a showroom, which you can visit in person and buy from also. 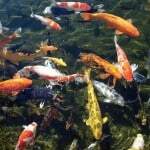 Coldwater, tropical freshwater and saltwater fish are all available including many types of African and American Cichlids, tropical community fish and the most popular saltwater fish as well as various pond fish such as Koi, other types of Carp and Goldfish. When it comes to selecting and buying fish it’s no different than any other online retailer, you add your fish and the quantity to the basket and check out when ready. You can select your delivery date and the order will be dispatched the night before for overnight delivery. Now I have purchased multiple times from them and the fish are generally well packaged, however, once there was a leak in one of the bags, luckily the fish survived in the small amount of water that remained. The fish are bagged and put into polystyrene boxes ready for delivery. Deliveries have been reliable for me. No cancelations or delays, which is good. I have however had mixed experiences with the fish themselves. 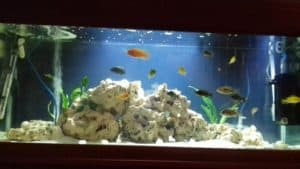 My main orders have been African Cichlids and before that South and Central American Cichlids (they were not bought for the same tank!). 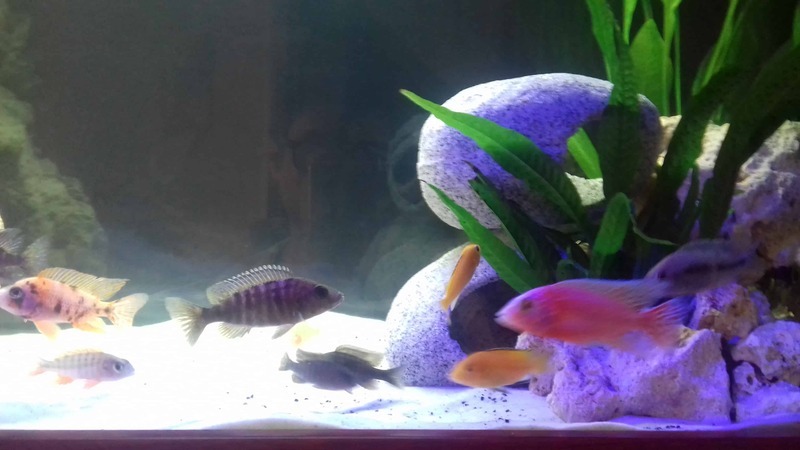 One of the American Cichlids died within a few days of arrival out of the 4 I bought but the rest were great. My main problems were with the African Cichlids. These fish arrived fully coloured (adult colours) even the ones at around 1inch (3-4cm) and after a week or so started to lose their colour. Which leads me to believe they either hormone the fish or the breeder they buy from does. 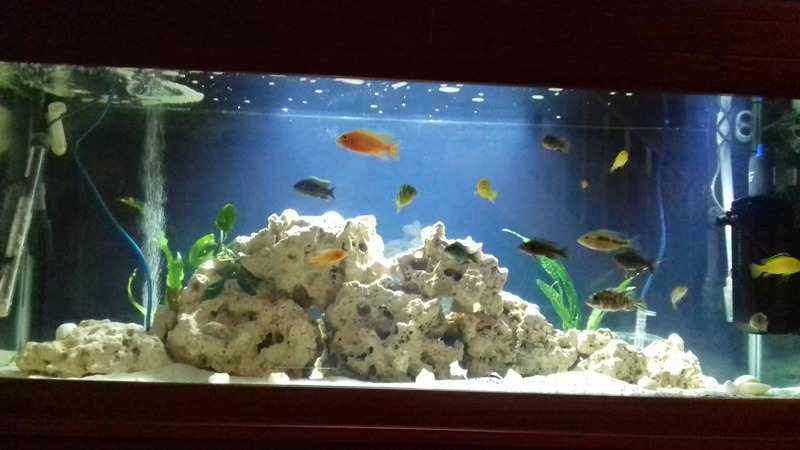 A couple of them seemingly have growth problems as they have not grown much in the 4-5months since if at all, and out of the 4 fish that lost colour only 1 has survived and is growing well. 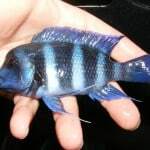 In total I bought 11 African Cichlids in 2 separate orders and I was only happy with 6 of them. 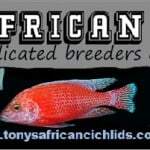 Needless to say I have never experienced the above with any African Cichlid I have bought from other retailers. 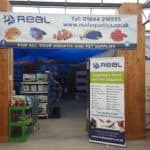 Avoid buying African Cichlids from here as it’s very much hit and miss, 6 good fish out of 11 is not a great percentage. 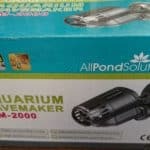 As for other fish I would avoid buying anything too expensive or sensitive. Their tropical community range is probably your best bet. Their website is certainly excellent in terms of appearance and being user friendly. Unfortunately I haven’t visited their showroom to see what the conditions are like there but if you can go before you buy do it. The major downfall is that you can’t see the fish, they may well have really good fish but who is to say that’s the one you end up with? This entry was posted in Store Reviews Online Stores.